Citroën Grand C4 Picasso scoops the ‘Best Seven-Seater’ prize in the prestigious Carbuyer Best Car Awards 2017. New Grand C4 Picasso was chosen by the Carbuyer road-test team because of its running costs, comfort, practicality, reliability and safety, as well as its new technologies, value-for-money and optional extras. 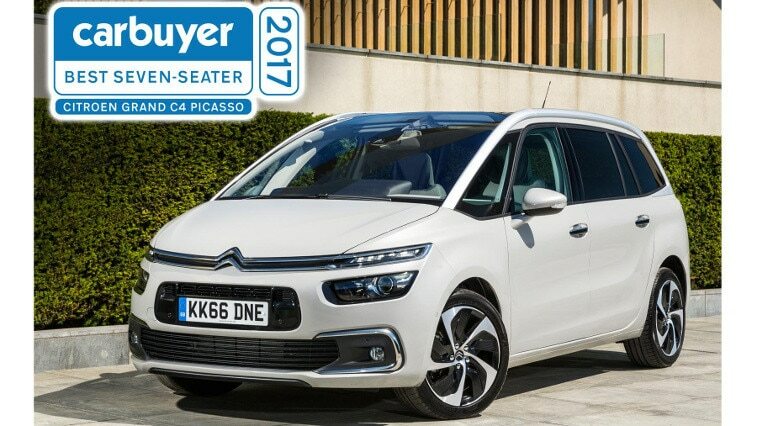 New Citroën Grand C4 Picasso has taken the ‘Best Seven-Seater’ prize in the Carbuyer Best Car Awards 2017. The ultra-practical family car was recognised for its superior comfort and innovative technologies, alongside a supremely spacious and versatile interior. Carbuyer announced its Best Cars for 2017 at London’s Curzon Bloomsbury Cinema on Wednesday. The Carbuyer awards celebrate and recognise the very best cars available in the UK. The awards are driven by the popular Carbuyer.co.uk Best Cars section, which includes in-depth analysis on every new car on sale today.